Under the one social housing system, there is a common application system for all forms of social housing, including public housing and community housing. The first step in applying for community housing is to contact the Department of Housing and Public Works and complete an application. On completion and approval of this application you will be placed on the housing register. All RHL tenants come from this register. When RHL has a vacancy the Department provides us with applicants from the housing register who suit the particulars of our vacant properties. Fact Sheet: What is the Housing Register? Transitional housing through the Community Rent Scheme, Community Managed Studio Units and Same House Different Landlord programs. Some providers deliver assistance across all these programs while others provide specialised services (for example long term community housing for older people connected to an aged care facility). The Department of Communities requires providers to meet certain standards in delivering housing assistance under the Housing Act 2003 and through funding agreements. Tenants of registered community housing providers can expect the same level of service from their provider as they would receive from the department in public housing. 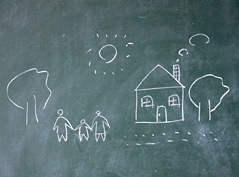 For more information see the QLD Government fact sheet: What is Community Housing?